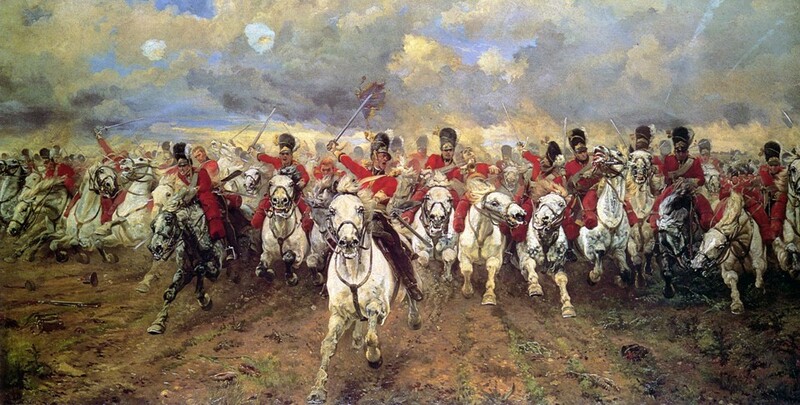 The boy placed the bugle to his lips and blew—charge, charge, charge! Napoleon’s troops thought, “Help is coming,” and they fought with all their might. The enemy thought, “We must flee because reinforcements must be on their way.” Thus the battle was won and eventually the war—all because one little bugler boy had forgotten the sound of retreat. This story may be apocryphal, but it makes a great point. When life becomes difficult, demanding, and distressful, don’t quit. Don’t turn back. Don’t retreat. Endurance is an essential ingredient to success in any endeavor. Warfare. Business. Sports. Education. And most importantly living the Christian life. The Bible uses the metaphor of Christians as soldiers who are waging a spiritual warfare. We are to equip ourselves with spiritual armor (Eph. 6:10-17). We are opposed by a spiritual enemy (2 Cor 10:3-5). We are commanded to “wage the good warfare (1Tim 1:18). But to accomplish this tough task we must develop endurance and perseverance. The Bible exhorts,”You therefore must endure hardship as a good soldier of Jesus Christ” (2 Tim. 2:3). The thread of spiritual endurance runs throughout the teaching of the Bible. Jesus said, “The one who endures to the end shall be saved” (Matt. 24:13). Luke says The Jerusalem Christians, “continued steadfastly in the apostles’ doctrine…” (Ax 2:42). Peter teaches that as we mature in Christian graces we should add to our faith, goodness, knowledge, self-control and endurance. (2 Pet. 1:6-7) Endurance is necessary for spiritual growth and development. Endurance is a must if we are to overcome temptations and trials, The Bible says “Consider it all joy, my brethren, when you encounter various trials, knowing that the testing of your faith produces endurance. And let endurance have its perfect result, so that you may be perfect and complete, lacking in nothing” (Jas 1:3-5). The Bible in various places calls for Christians to persevere in prayer. In brotherly love. In faith. In fellowship. In God’s grace. Using the metaphor of running, the Hebrew writer urged, “Therefore we also, since we are surrounded by so great a cloud of witnesses, let us lay aside every weight, and the sin which so easily ensnares us, and let us run with endurance the race that is set before us” (Heb 12:1). The great cloud of witnesses in Hebrews shouts for us to keep on running the spiritual race. In spite of problems. Obstacles. Or weariness. Brethren, the war is raging. The enemy is vicious. The stakes are high. Our eternal destiny weighs in the balance. This is no time for withdrawal. Quitting. Or surrender.